Here are the latest tax rates, national insurance, tax bands etc, which take effect from April 2017. * An annual transferable allowance between spouses of £1,060 was introduced for 2015/16 tax year. This year, 2017/18 the transferable allowance increases to £1,150. A spouse or civil partner who is not liable to income tax above the basic rate may transfer up to £1,150 of their unused personal allowance to their spouse/civil partner, provided that the recipient of the transfer is not liable to income tax above the basic rate. This measure will only be of benefit to those in the lower income bracket. The Age Related Income Limit for 2017/18 is £28,000. if you are over 65 years and your earnings are above £28,000, your Personal Allowance will be reduced by £1 for every £2 you earn over that £28,000 limit. The widening of the Basic Rate tax bracket and the increase in the Basic Personal Allowance means you can earn more this coming tax year before crossing into the 40% tax bracket. If you take the new Basic Tax Rate threshold of £33,500 and add it it the new Basic Personal Allowance of £11,500, we see that for 2017/18 you can earn £45,000 before you cross in to 40% tax territory. 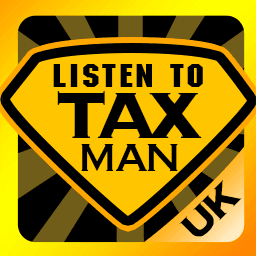 ListenToTaxman have teamed up with GoSimpleTax, the online self-assessment app to bring you, what is in our view, the easiest way of calculating and submitting your tax return we’ve seen so far. Key in your income and expenses into the app, and it will flag up any unclaimed allowances. Simple. Once you’re comfortable with the information you’ve entered, simply submit via the app to HMRC. You’ll just need your Tax Reference Number - found on most tax correspondence. GoSimpleTax let you use their software free for 14 days. If you don’t think it’s right for you - don’t pay anything. If you do to choose to submit your tax information via the app, then at most of you will be charged £30 for their standard service (silver). Find out More, No obligation trial, with no credit card required. This article was published in our Tax Rates & Tables section on 03/03/2017.